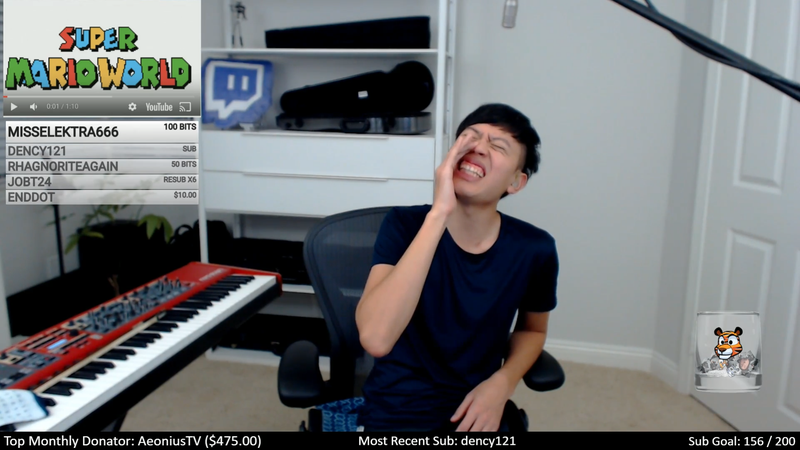 Jason Yang is a musician and composer who live streams on Twitch, taking song requests to play on his violin, keyboard, and nose. Pulling up a Super Mario World video, Yang nose-whistles the game’s overworld theme. You can compare Yang’s version to the original Super Nintendo classic. While that clip gained traction, what happened immediately after was fantastic. When he hit play on the video sent in for the request, he discovered it was actually the Christmas tune Sleigh Ride, in the styling of Super Mario World. And as it turns out, Yang can also perform Sleigh Ride through his nose. In an email to Compete, Yang explained the technique he uses to whistle the nose flute, saying it started with trying to top the infamous Titanic theme recorder bit. Yang’s fans have compiled a playlist of his nose’s greatest hits, if reading this post makes you want to watch a guy play Game of Thrones songs through his nose with perfect pitch (absolute pitch).